Guru Purnima is celebrated in honor of, and reverence to the great masters who have illumined our spiritual culture and tradition since ages. Coinciding with the birthday of the great spiritual seer, Veda Vyasa, the author of the epic, Mahabharata, the day is also called Vyasa Purnima. 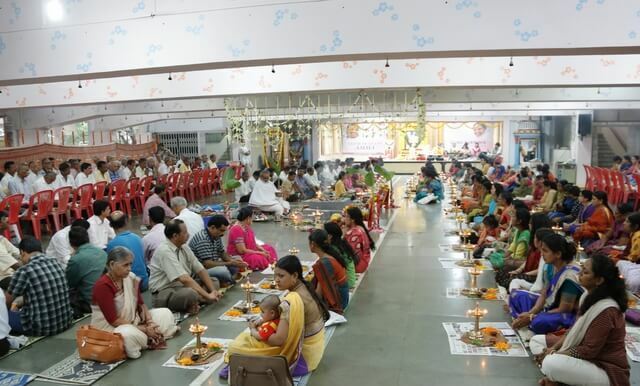 On Tuesday, 19th July, devotees from all parts of the city braved the heavy downpour and assembled at the Ashram in Nerul, to celebrate Guru Purnima as an expression of love, gratitude and reverence to our beloved Amma, who is Mother and spiritual Master to us. 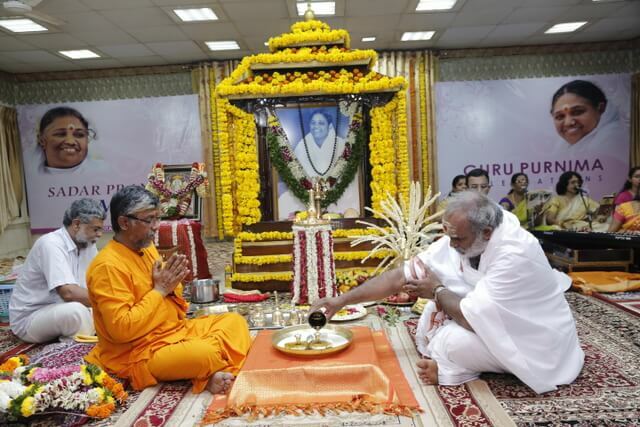 The day’s events got off to an auspicious start with the Guru Paduka Puja, accompanied by the chanting of the Guru Stotram, Guru Paduka Stotram and the Ashtottaram. This was followed by the Dhanwanthari Homam. As devotees made oblations to the sacrificial fire, the Dhanwanthari Stotram, Dhanwanthari Ashtottaram and Vishnu Ashtottaram were chanted. After a few soulful bhajans, the Maha Arati was performed. 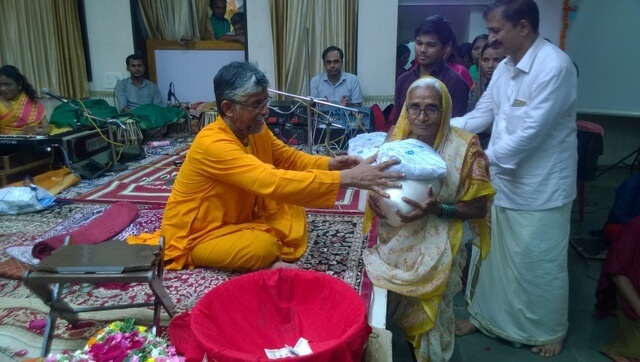 The program concluded with a small but significant act of charity, whereby rice and clothes were distributed to the poor and destitute residing in the vicinity. After this, mahaprasad was served to everyone present.